Backers of a proposal for a $150 million resort casino for the independent city of Bristol in the Commonwealth of Virginia said Thursday that it could have a “transformative” effect on the state economy, as well as the city and the region. 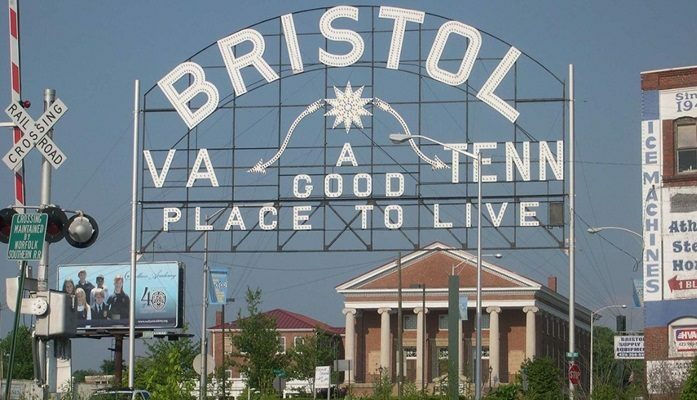 Bristol, Virginia is the twin city of Bristol, Tennessee, located just across the state line. The massive resort proposed by longtime Southwest Virginia business leaders, Jim McGlothlin and Clyde Stacy, would be situated on a 49-acre site where the former Bristol Mall now sits vacant after closing on August 31, 2017. To be named Bristol Resort and Casino, the approximately 100,000 square foot casino would be situated within the shuttered retail center, likely in one of the mall’s former anchor stores, such as the former J.C. Penney or Sears locations. There would also reportedly be an equal amount of space dedicated to entertainment and family-friendly attractions, 25,000 square feet for sports betting, an on-site hotel with between 600 and 1000 rooms and 50 stores and restaurants, according to local broadcaster, News Channel 11. Two-thousand people are expected to be employed during the first year of operations at the resort casino. That number is expected to increase by upwards of 5,200 in seven years. Other amenities planned for the property include a fitness center, indoor and outdoor pools, spa, salon, suites, boutiques, meeting and event venues, go-kart racing, family arcade, miniature golf, kid’s waterpark, golf and baseball simulators, museum of local history, virtual games and more. McGlothlin said, “Not one dollar is coming from the city of Bristol, the state of Virginia or the federal government. Clyde and myself are going to put all the money up for this,” according to the Bristol Herald Courier. While the annual tax revenue to Bristol, VA is estimated to be $26.8 million after seven years, the Virginia General Assembly would need to legalize gaming in the commonwealth. Along with the neighboring states of Tennessee and Kentucky, Virginia does not allow casino gambling, it does, however, have a state-run lottery and allows off-track betting and horse racing at four sites, according to the Virginia Equine Alliance as reported by the daily newspaper. Maryland, West Virginia and North Carolina all allow casino gambling, with the nearest casino located in Cherokee, North Carolina some 130 miles away. Before asking state lawmakers to support amending the state law, McGlothlin and Stacy say they plan to seek support from the City Council. They say without support from Bristol, there is no project. “One of the things the legislators we’ve talked to have told us — and they appear to be in favor — but they all say it’s got to have local support. If we don’t have the local support, it’s not going to happen,” said Stacy. The City Council of Bristol is reportedly expected to consider a resolution of support for the mall project on September 11.